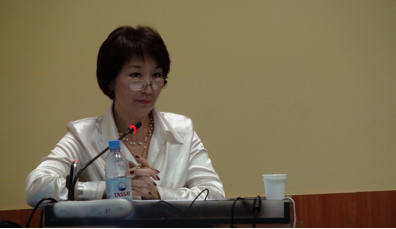 Head of the department of "Health Policy and Management" -Turdaliyeva Botagoz Saitovna - MD, DM, Associate professor. Turdalieva Botagoz Saitovna is Deputy Director of the School of Public Health named after Kh.Dosmuhamedov, Director of the Center of Evidence-Based Medicine of KazNMU, team leader for the development of fundraising at the university. Doctoral dissertation on the theme: «Evidence-based approaches to prevention of chronic diseases in modern conditions» in the specialty 14.00.33 — Public health and health care. Under her supervision are protected Ph.D., master’s thesis, is currently the director of doctoral dissertations and master’s degree in public health. She has more than 60 publications, including peer-reviewed international journals, 12 books, a certificate of authorship. Musabayev Bolzhan Abdikarimovna — laboratory. The Department provides educational services for pre- and postgraduate level. At postgraduate level, trains graduate students the following specialties: 6M110100 — Medical 6M110200 — Public Health, 6M110300 — Nursing, 6M110400 — Pharmacy,6M110500 — Health-care business, Ph doctoral students majoring 6D110200 — Public health, and residents. At the undergraduate level department trains students 2, 3, 5 courses of the faculties of general medicine, pharmacy, public health nursing full-time, extramural students in Kazakh, Russian and English in the following disciplines: «Principles of evidence-based medicine», «Strengthening of Health and disease prevention, «» Fundamentals of health Policy and Management «,»Organization of GPs «,» Hospital management «,» Management of health services ‘,’ laws of health». The main disciplines that are taught at the Department of postgraduate level is: Health Policy and Management, health promotion and social science, strategic planning in health care, operational management, evidence-based medicine, medical statistics in health care and pharmacy, public health, management of health services management, quality of care, planning and organization of research and new organizational approaches to create a unified national health system. The department is engaged in research work and is responsible for implementing the study of epidemiological unit of scientific and technical program «Development of a model anti-aging active in ensuring longevity of the elderly» (2010-2011) as part of the «Concept of development of medical science at the Kazakh National Medical University. S.D Asfendiyarov 2009-2012». Actively developing scientific field among young scientists. Only in 2011, attending the department approved the research topics of dissertations on various aspects and important areas of public health, including 17 graduate students of 2nd year students, 3PhD students of 2nd year study, 6 graduate students of 1st year students and 6 doctoral PhD 1 second year of study. The department is actively engaged in social activities, conducts many workshops at the university, national and international levels. From 30 November to 4 December 2009, the Department held an international seminar for graduate students and faculty entitled «Management in Public health and Evidence-based medicine» (management of public health and evidence-based medicine), inviting teachers from Israel Aviv Zohar — Director of Nursing of Internal, Geriatric and Cardiology division, Kaplan Medical Center and Ella Muler — Director of Nursing, Oncology and Hematology, Rambam Health Care Campus. Each year, members of the department in conjunction with the Center for Evidence-Based Medicine, School of Public Health named after Kh.Dosmuhamedov organize and conduct the International Winter School «Actual issues of public health» for senior students of KazNMU and other medical schools. 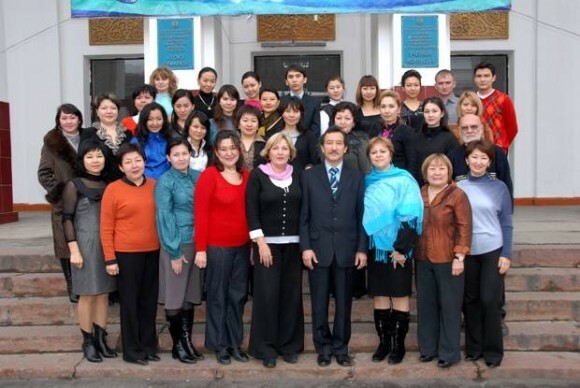 In 2009, in Winter School took medical students of Kazakhstan (JSC «Medical University — Astana», Karagandy State Medical Academy, Semey State Medical Academy, West — Kazakhstan Medical Academy. 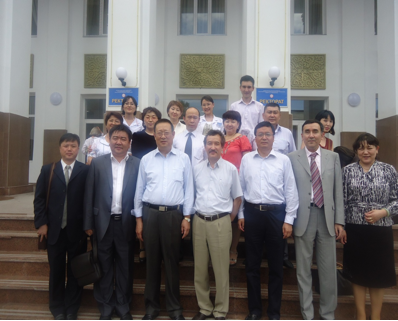 M. Ospanov South — Kazakhstan State Medical Academy).Students are lectured National Academy of Sciences of RK T.Sh.Sharmanov, Academician of RAMS V.Z Kucherenko (Russia), Prof. T.S Meimanaliev (Kyrgyzstan), Prof. M.K Kulzhanov, Professor A.A. Akanov, Professor K.A Tulebaev, Professor M.Asimov, Professor U.I. Kenessary, Professor T.K. Rakhypbekov and other experts in the field of public health. The Department of the Center for Evidence-Based Medicine, School of Public Health named after Kh.Dosmuhamedov for master’s students, doctoral students and young scientists organizes and conducts the annual International Summer School «Selected problems of public health» with domestic and foreign scholars in the field of public health. In 2009, the annual International Summer School on the theme: «The modern hospital management. Patient safety: infection control in hospitals. Patients’ rights«. Specifically to attend the Summer School invited Professor Sim Sang Tiang (Parkway College, Singapore), which held a master class and highlighted the following questions: «Health and Wealth», «Human Resource Management in Health Care», «The accreditation standards for hospitals», » Health systems in Singapore «, etc. 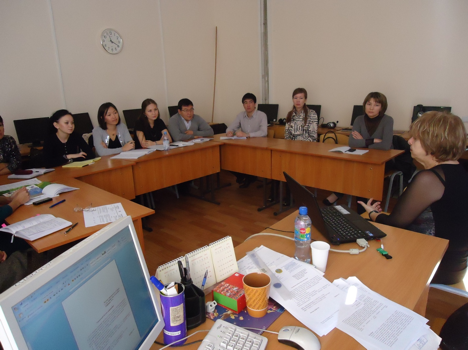 The meeting was attended by 16 teachers of KazNMU named after S.DAsfendiyarov, 13 undergraduates a year, nine graduate 2 year, 3 graduate from Graduate School of Public Health. Second Annual International Summer School, held a 6-11 June 2011., Went on: «Selected problems of public health. Quality care — key to sustainable development in health care«, marking the 20th anniversary of the independence of the Republic of Kazakhstan. The summer school held with the participation of an international organization USAID. The main topics in the Summer School: the quality of medical services, the role of evidence-based medicine to ensure the quality of care. The Department organizes and conducts international seminars on the program «Visiting Professors». • Zohar Aviv — Director of Geriatric cardiology department and the Medical Center ‘Kaplan’ (city of Rehovot, Israel). Welcoming remarks were made rector of KazNMU named after S.DAsfendiyarov, Professor A.A Akanov and Director of the School of Public Health. Kh. Dosmukhamedov of KazNMU, Professor K.A Tulebayev. From 19 September to 13 October 2011 a seminar on the course «Statistics», with Dzhusupov K. — PhD, a specialist in the management of grant programs TEMPUS. From September 14 to September 27, 2011. a seminar on «Management of hospital work: Health care financing and health insurance.» Lectures, workshops and consultations held Jacob Zilberg-leading expert and organizer of the hospital business in Israel. 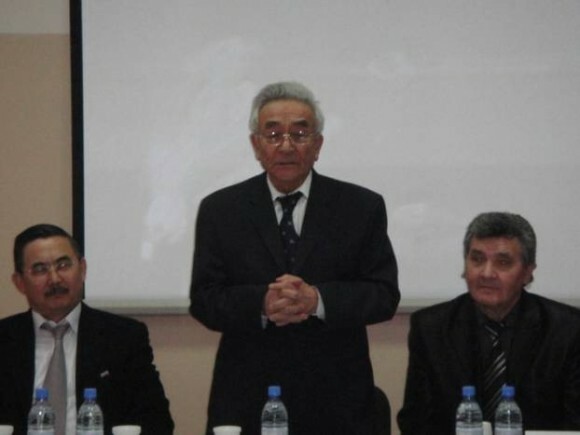 From October 3 to October 8, 2011 held a seminar on «Health Care Reforms in the world and the views of WHO, and the reforms in a comparative perspective» involving MD, professor, a member of WHO — Meymanaliev Tilek. On October 19 and October 25, conducts international seminars for undergraduates, doctoral students, the faculty of the University, representatives from other medical universities and representatives from health care on «Foundations of clinical research at medical institutions», «Fundamentals of nursing ethics», «Gerontology». The topics today in all developed countries are very relevant for public health organizers, and for professionals working in the field of science and education, including the Republic of Kazakhstan. Inviting leading scholars from other countries allowed creating a rich program of exchange of scientific knowledge in the field of management research, the design of research projects in the field of public health and public health. In the future department plans to expand the program «Visiting Professors» in order to enhance the educational process of gaining new scientific knowledge and exchange of experience in public health and research.